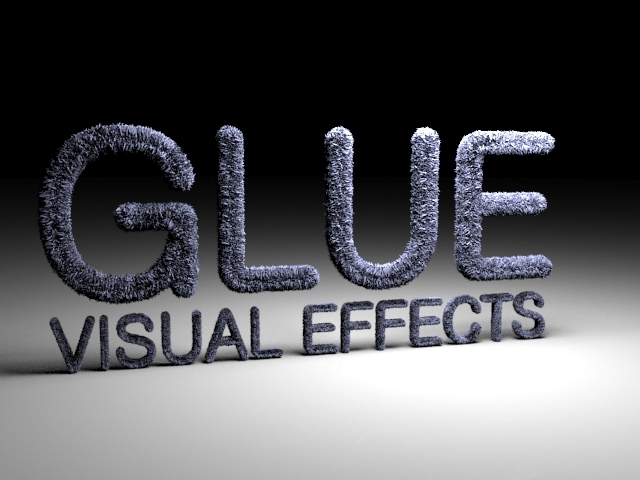 It’s not only fancy 3D and motion graphics we create here at GLUE, we also bring to life CG creatures. Above find a video breakdown for a Vision 2021 project we recently completed. As the project was based in Dubai and many influential figures would be viewing it, we wanted to incorporate a falcon soaring over the impressive Dubai skyline. As soon as we mentioned this, our client was hooked… now to make this bird model look as realistic as we could in such a short deadline. We took the 3D model of the falcon, which didn’t match exactly the breed we needed, the Shaker falcon is the official bird of the UAE and has some unique characteristics the client wanted. We began by updating all the textures and modified the geometry which effected the shape, movement and size of the bird. A lot of work went into creating the feathers which although are very subtle are crucially important to add real life turbulence to the scene. Without the wind resistance the falcon would look static and robotic. We began with 3D tracking the helicopters aerial footage of Dubai. We give the software as much information on the camera, focal length, frames per second, be it zooming or not, etc… and it will begin to calculate points throughout the footage. Once the tracking phase is complete we can bring the newly created 3D camera into our 3D software 3ds Max. 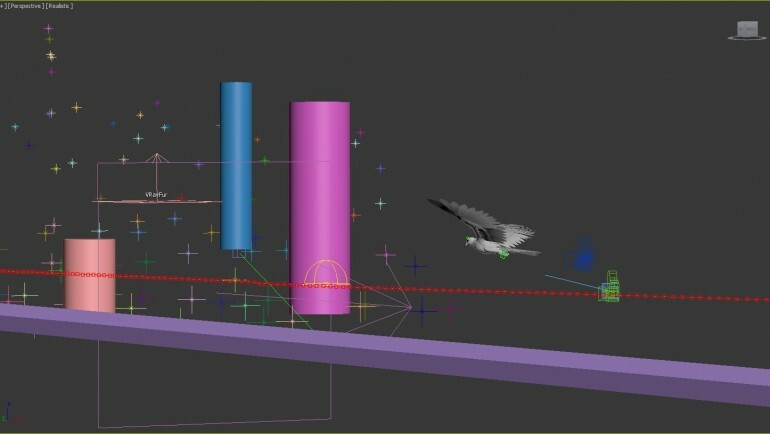 Below we can see the newly created 3D tracking points and camera inside 3ds Max in addition to the updated bird model. The cylinders are only there for reference purposes to understand distance and scale. Here you can see some samples we’ve created of a hairy teapot. This was part of the initial testing to create the detailed features on this and other organic cg creatures. The project was a great success and the best comment we heard was – “How did you train the falcon to fly so close to the camera?” We love all things 3D here at GLUE and we’d love to sit down and discuss your next project with you to see what we can deliver! With all our projects we insure our cost effective personal approach and enthusiastic team will bring your vision to life.